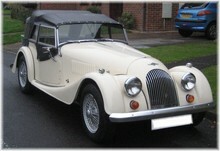 Morgan must be one the only car manufacturers to have remained in constant ownership by the same family, certainly for more than 70 years. 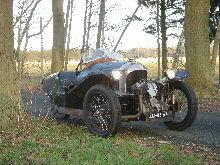 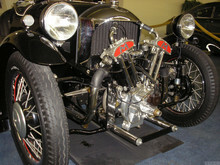 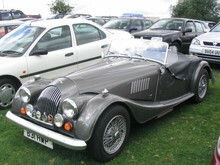 Founded by H.F.S Morgan the company originally produced three wheeled sportscars, later it introduced a four wheel car and this essentially remains in (much modified form) production today. 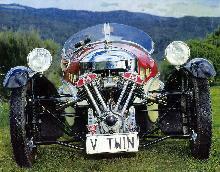 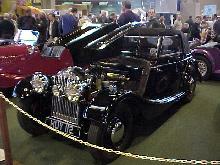 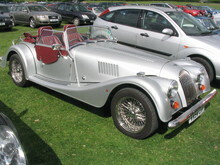 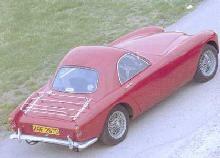 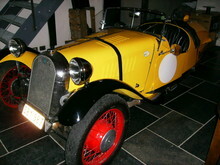 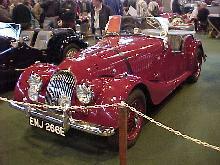 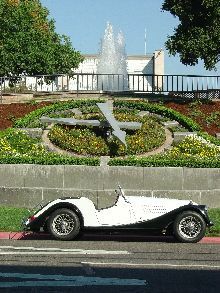 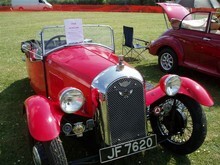 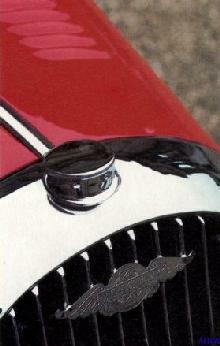 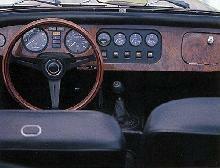 Morgan tried to tempt buyers with its modern Plus Four Plus in 1964, the car having styling similar to the MGA. 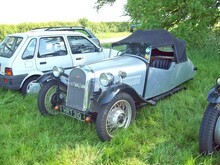 Despite offering better aerodynamics and a more civilised interior the car flopped, buyers rejecting it in favour of the older (essentially pre-war) model. 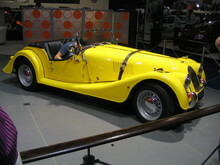 Today we await to see if buyers will accept the brave new Aero 8 model, launched in 2000 at the Geneva Motorshow.